Since 2005, Orland Conservation has provided ongoing support for the Region of Peel Greenlands Securement Program. 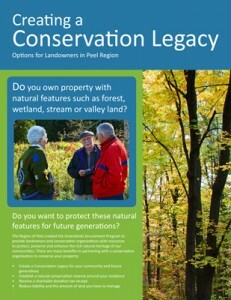 The program provides support to conservation authorities and other conservation organizations in Peel Region who are working to protect, preserve and enhance the Regional Greenlands System in support of the Peel Region Official Plan. Our involvement with the program has included delivering public outreach and education events, conducting public surveys, GIS mapping, design and production of communications material, land securement training and completing an annual program review. 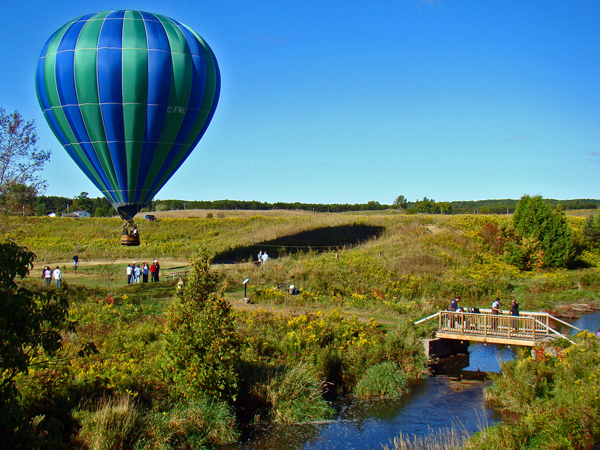 Since 2001, the program has helped secure more than 200 acres of greenlands in Peel Region. The Region’s project partners include Credit Valley Conservation, Toronto and Region Conservation Authority, Town of Caledon, City of Brampton and City of Mississauga.